The Acropolis Museum will celebrate International Museum Day on May 18 and European Museum Night on May 20 with free entrance and a series of events for visitors. Entrance to the museum will be free throughout the day on Thursday, May 18, from 8 a.m.-8 p.m. On that day a number of artifacts will be put on display for the first time in the Archaic Gallery, including the exceptional head 696 and other shards of a statue depicting a young woman with a “polos” or headdress. The items are currently in the museum’s store rooms. The visitors will be able to view them arranged in a special display case, which provides them with a complete picture of the statue before its destruction by the Persians. The museum will also issue a commemorative medal produced by the National Mint depicting a boar, which was hunted but also admired and feared by ancient Greeks, since it was able to critically wound its pursuers. The medal will be on sale in the museum shops from May 18. On May 19-20 the museum will host a conference organized in collaboration with the Athens Kapodistrian University’s History and Archaeology Department, entitled From Hippias to Kallias: Greek Art in Transition from 527 BC to 449 BC, in the museum amphitheater. 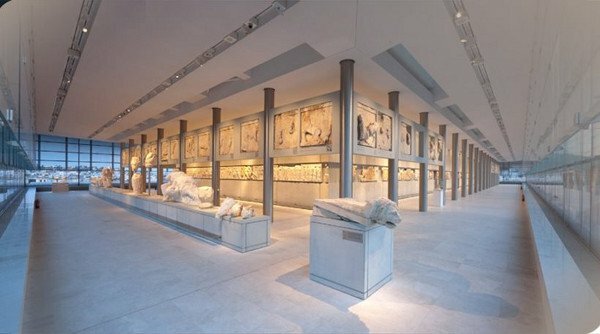 On European Museum Night on May 20 the Acropolis Museum will be open from 8 a.m. until midnight and there will be free entrance after 8 p.m..